Strings is pleased to partner with Yampa River Botanic Park to offer this free summer series. 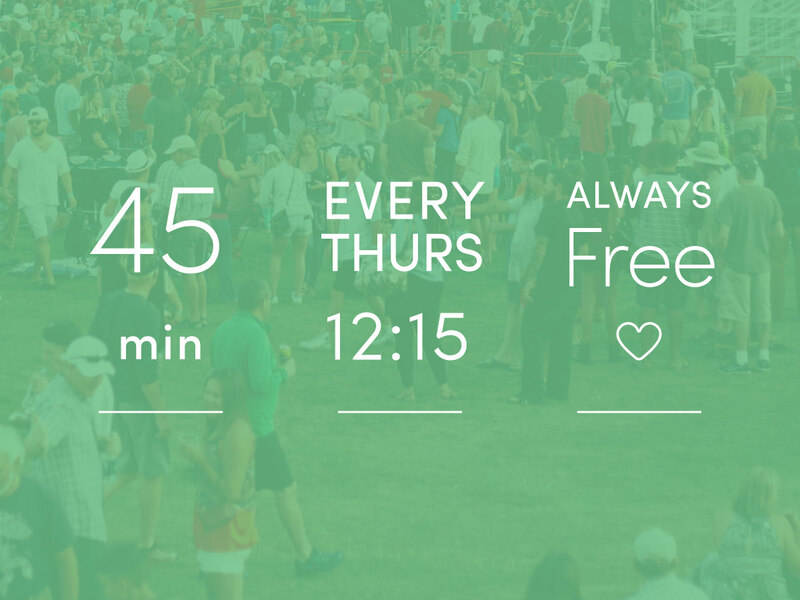 Every Thursday, music lovers of all ages are invited to enjoy this free lunchtime concert series in one of Steamboat’s most beautiful parks. Bring your lawn chairs, sunscreen, and the kiddos to settle in for music in the mountain air. Every Thursday, enjoy this free concert series in one of Steamboat's most beautiful parks. Bring your lawn chairs, sunscreen and the kids for music in the mountain air. Every Thursday, enjoy this free concert series in one of Steamboat’s most beautiful parks. Bring your lawn chairs, sunscreen and the kids for music in the mountain air. Today’s concert features a youth ensemble form Steamboat’s Music with Vision. Every Thursday, enjoy this free concert series in one of Steamboat’s most beautiful parks. Bring your lawn chairs, sunscreen and the kids for music in the mountain air. Today’s concert features Strings Young Artists in Residence, the Maroon Belles, a string quartet. Every Thursday, enjoy this free concert series in one of Steamboat’s most beautiful parks. Bring your lawn chairs, sunscreen and the kids for music in the mountain air. Today’s concert features Jay Roemer who performs Americana and bluegrass. Every Thursday, enjoy this free concert series in one of Steamboat’s most beautiful parks. Bring your lawn chairs, sunscreen and the kids for music in the mountain air. Today’s concert features Tyler Crane who performs rock and blues. Every Thursday, enjoy this free concert series in one of Steamboat’s most beautiful parks. Bring your lawn chairs, sunscreen and the kids for music in the mountain air. Today’s concert features Strings Young Artists in Residence, 511 Brass, a brass quintet. Every Thursday, enjoy this free concert series in one of Steamboat’s most beautiful parks. Bring your lawn chairs, sunscreen and the kids for music in the mountain air. Today’s concert features Chamberlin Birch, a singer-songwriter. Every Thursday, enjoy this free concert series in one of Steamboat’s most beautiful parks. Bring your lawn chairs, sunscreen and the kids for music in the mountain air. Today’s concert features John Fog, Denton Turner, and Darren Radach who perform Western Americana.